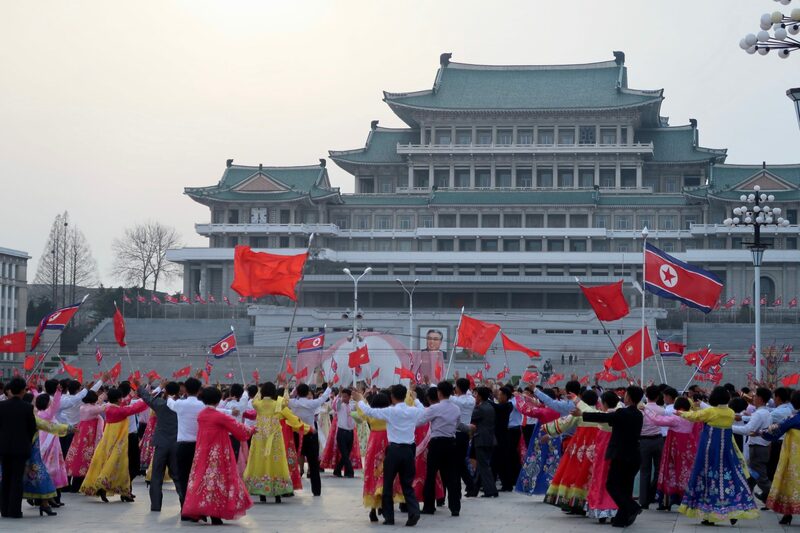 Join us for one of the most spectacular holidays to celebrate in North Korea, May Day! 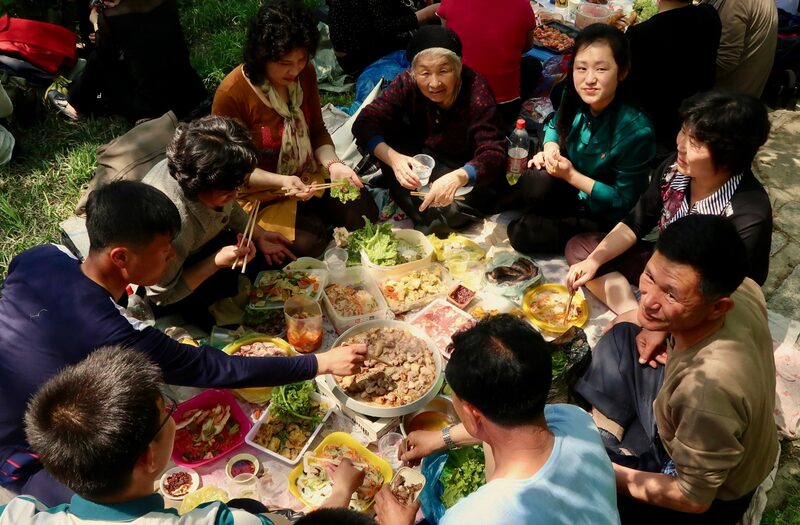 Aside from all the usual sites, May Day gives us one of the best opportunities to relax, meet, and hang out with locals during the celebrations on Moran Hill. Koreans take this holiday very seriously and you will more than be expected to sing, dance, and play around with them during the festivities. Could there be a better time to go? 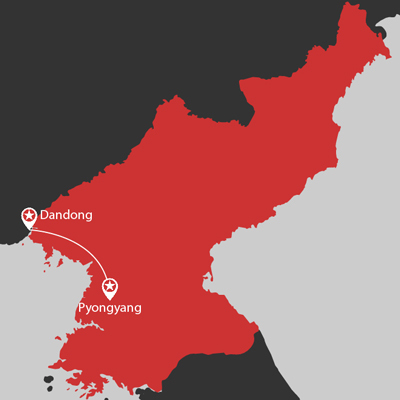 By making use of traveling from Dandong, which is the Chinese border city to the DPRK and is easily reachable from most of China, we are able to offer a great price that has you in the country for 2 nights and 3 days, which is inclusive of one full day of seeing all the main sites of Pyongyang and going out both nights of the trip. This trip is perfect for those people who are already in China or those simply traveling through who do not have the time or budget to do a full trip. If you need assistance with organising accommodation in Dandong or making your way to or from Dandong city, we’ll be happy to help book for you! 5:00pm arrival in Pyongyang to be met by your guides. Evening city tour of Pyongyang, including us stopping at Kim Il Sung Square for a walk and pictures. Wednesday 1st May – May Day! 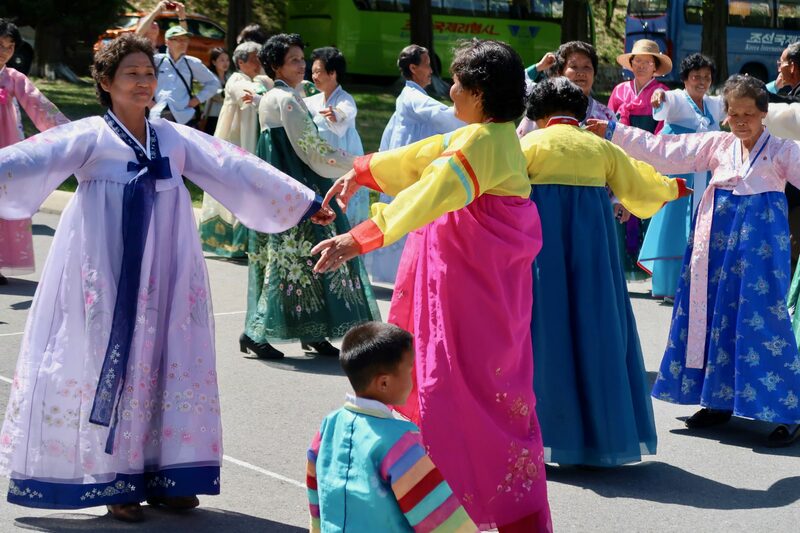 Trip highlight – Mt Taesong Amusement Park – Celebrate May Day by enjoying some sports and dancing with the local people – football, volleyball, tug of war, sack races, and more! The local fun park also has rollercoasters and other rides for you to jump on and enjoy! Pyongyang Metro – ride five stops on the famous Pyongyang Underground! 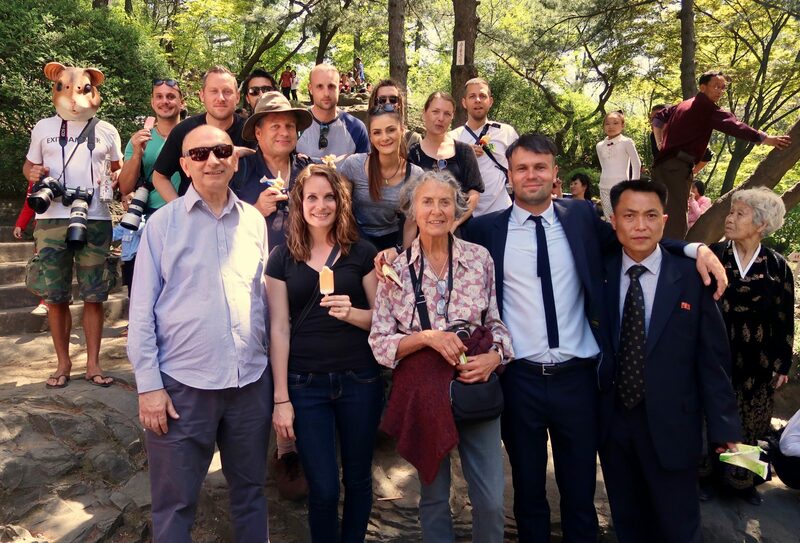 Walk to Moran Hill to join the locals for dancing, singing, and drinking! – Highlight Number 2 of the trip! Juche Tower – Monument to the everlasting Juche Ideology (optional 5 euro to go to the top). Visit the recently renovated Korean War Museum – let the local military guide show you around the enormous museum featuring dioramas, locally used weapons, tanks, aircraft and captured American equipment! Stop by Mansugyo beer bar to join the locals for refreshments. Dinner at the National Restaurant with live performance. Check out of Sosan Hotel. Board the 10:25am train to Dandong. 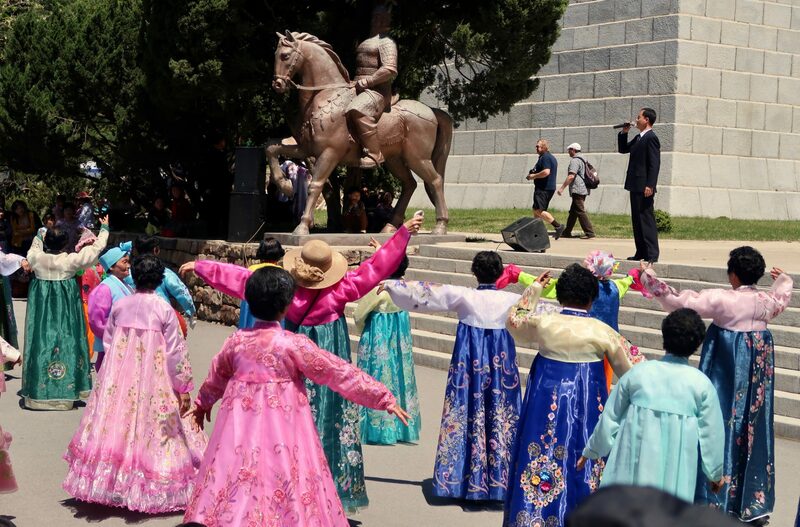 Special May Day events: these may include fireworks, mass dances or special performances.